Agence France-Presse, "Bayer to Cut 1,800 Jobs, Close 15 Sites," Agence France-Presse, August 9, 2001. Available at factiva™ database. N. A. Ashford, "Chemical Catastrophes: Steps for Prevention," New York Times, December 9, 1984, Business Section, p. 2. D. Austin and A. Sauer, Changing Oil: Emerging Environmental Risks and Shareholder Value in the Oil and Gas Industry, World Resources Institute, 2002. Available at http://pubs.wri.org/pubs_description.cfm?PubID=3719. D. Austin, N. Rosinski, A. Sauer and C. Le Duc, Changing Drivers: The Impact of Climate Change on Competitiveness and Value Creation in the Automotive Industry, World Resources Institute and Sustainable Asset Management (SAM), 2003. Available at http://business.wri.org/pubs_content_text.cfm?ContentID=2255. W. Baue, "DJSI adds 'Sin' Stocks to Indexes, Calling into Question the Definition of Sustainability," Social Funds.com News, December 6, 2002. Available at http://www.social funds.com/news/article.cgi/article983.html. S. Beloe et al., Values for Money: Reviewing the Quality of SRI Research, SustainAbility, London, 2004. Available at http://www.sustainability.com/publications/about/ default.asp. K. Bethke, "Eco-Efficiency for SMEs in the Moroccan Dyeing Industry. A Sustainable Approach to Industrial Development," Nord-Süd aktuell, 1, 106-109 (2003). M. M. Blair and S. M. H. Wallman, Unseen Wealth: Report of the Brookings Task Force on Intangibles, Brookings Institution Press, Washington, DC, 2001. D. Brown, "The Dead Zone," Guardian Weekend, September 21, 2002, p. 44. E. Clark, The Intangible Economy: Impact and Policy Issues, Report of the High Level Expert Group on the Intangible Economy, Enterprise Director-General, European Commission, Brussels, October 2000, pp. 6-7. D. J. Constable, A. D. Curzons, L. M. Freitas dos Santos, G. R. Geen, R. E. Hannah, J. D. Hayler, J. Kitteringham, M. A. McGuire, J. E. Richardson, P. Smith, R. L. Webb and M. Yu, "Green Chemistry Measures for Process Research and Development," Green Chemistry, 3, 7-9 (2001). D. J. C. Constable, A. D. Curzons and V. L. Cunningham, "Metrics to Green Chemistry -Which are the Best?" Green Chemistry, 4, 521-527 (2002). Constitutional Law Foundation, Intergenerational Justice in the United States Constitution. The Stewardship Doctrine: Historical Overview, 2004. Available at http://www. conlaw.org/intergenerational-intro.html. A. Cortese, "DuPont's Teflon™ Dilemma," Chief Executive, November 1, 2003, p. 22. Available at factivaTM database. Council of Economic Advisors, Economic Report of the President, GPO, Washington, DC, 2000, p. 431, Table B-96. A. D. Curzons, C. Jimenez-Gonzalez, A. L. Duncan, D. J. C. Constable and V. L. Cunningham, "Fast Lifecycle Assessment of Synthetic Chemistry (FLASCTM) Tool," Green Chemistry, submitted. A. D. Curzons, D. C. Constable and V. L. Cunningham, "Solvent Selection Guide: A Guide to the Integration of Environmental, Health and Safety Criteria into the Selection of Solvents," Clean Products and Processes, 1, 82-90 (1999). A. D. Curzons, D. J. C. Constable, D. N. Mortimer and V. L. Cunningham, "So You Think Your Process is Green, How Do You Know? Using Principles of Sustainability to Determine What is Green - A Corporate Perspective," Green Chemistry, 3, 1-6 (2001). C. M. Daily, J. L. Johnson and D. R. Dalton, "On the Measurements of Board Composition: Poor Consistency and a Serious Mismatch of Theory and Operationalization," Decision Sciences, 30(1), 83-106 (1999). Dow Jones Sustainability Indexes, "DJSI Index Performance," Sustainability Investment, September 2002. Available at http://www.sustainability-indexes.com/sustainability/. Dow Jones Sustainability Indexes, "Dow Jones Sustainability World Indexes Guide, Version 5.0," September 2003. Available at Dow Jones Sustainability Indexes: http://www. sustainability-indexes.com/djsi_pdf/djsi_world/Sectors/DJSI_World_CHM_04.pdf. A. L. Duncan and A. D. Curzons, "WRAP Up Your Packaging Issues: Development of a Corporate Approach to Assess Packaging," Clean Techn Environ Policy, 2004, submitted. DuPont, "Sustainable Growth 2003 Progress Report," 2003. Available at http://www1.du pont.com/NASApp / dupontglobal / corp / index.jsp?page = / content/US / en_US / social / SHE/usa/us1.html, accessed on August 26, 2004. J. Elkington, Cannibals with Forks: The Triple Bottom Line of Sustainability, New Society Publishers, Gabriola Island, BC, Canada, 1998. R. Elliot, "Future Generations, Locke's Proviso and Libertarian Justice," Journal of Applied Philosophy, 3, 217-227 (1986). Available at http://www.conlaw.org/intergenerational-intro.html. L. Everest, Behind the Poison Cloud: Union Carbide's Bhopal Massacre, Banner Press, Chicago, 1985. J. Fiksel, J. Low and J. Thomas, "Linking Sustainability to Shareholder Value," EM Magazine, June, 19-25 (2004a). J. Fiksel, K. Funk, P. Kalafut and J. Low, Clear Advantage: Building Shareholder Value. Environment Value to Investors, Global Environmental Management Initiative, Washington, DC, February 2004b. 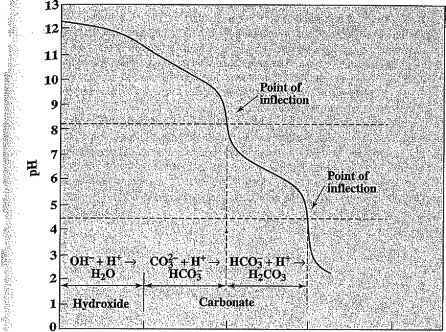 D. Firn, "Private Cash Drives Chemical Actions," Financial Times, January 29, 2004. A. Gillies, "Short Tenures, Big Returns," 2002. Available at www.Forbes.com/2002/04/29/ 0429sf.html. Accessed on April 29, 2002. K. T. Hamilton, "Pollution as News: Media and Stock Market Reactions to the Toxics Release Inventory Data," Journal of Environmental Economics and Management, 28, 98-113 (1995). C. A. Hemingway and P. W. Maclagan, "Managers' Personal Values as Drivers of Corporate Social Responsibility," Journal of Business Ethics, 50(1), 33 -44 (2004). R. A. Hites et al., "Global Assessment of Organic Contaminants in Farmed Salmon," Science, 33, 226-229 (2004). R. A. Hites, "Polybrominated Diphenyl Ethers in the Environment and in People: A Meta-Analysis of Concentrations," Environmental Science and Technology, February 15, 2004, pp. 945-956. C. Holliday, "Sustainable Growth, the DuPont Way," Harvard Business Review, September, 129-134 (2001). C. O. Holliday Jr., S. Schmidheiny and P. Watts, Walking the Talk: The Business Case for Sustainability. Greenleaf, Sheffield, England, 2002. Innovest, Dow Chemical: Risks for Investors, Innovest, New York, April 2004. A. B. Jaffe, S. R. Peterson, P. R. Portney and R. N. Stavins, "Environmental Regulation and the Competitiveness of U.S. Manufacturing: What Does the Evidence Tell Us?" Journal of Economic Literature, 33, 132-163 (1995). T. Jefferson, Letter to James Madison, 1789. Available at http://Lachlan.bluehaz.com.au/ lit/jeff03.html. C. Jimenez-Gonzalez, S. Kim and M. R. Overcash, "Methodology of Developing Gate-to-Gate Life Cycle Analysis Information." Int JLCA, 5(3), 153-159 (2000). C. Jimenez-Gonzalez, A. D. Curzons, D. J. C. Constable, M. R. Overcash and V. L. Cunningham, "How Do You Select the 'Greenest' Technology? Development of Guidance for the Pharmaceutical Industry," Clean Products and Processes, 3, 35-41 (2001). C. Jimenez-Gonzalez, A. D. Curzons, D. J. C. Constable and V. L. Cunningham, "Life Cycle Assessment of Pharmaceutical Compounds: Cradle-to-Gate LCI/A of a Typical Active Pharmaceutical, a Case-Study," International Journal for Life Cycle Assessment, 2003, OnlineFirst. Available at http://dx.doi.org/10.1065/lca2003.11.141. C. Jimenez-Gonzalez, A. D. Curzons, D. J. C. Constable and V. L. Cunningham, "Expanding GSK's Solvent Selection Guide - Application of Life Cycle Assessment to Enhance Solvent Selections," Clean Techn Environ Policy, 7(1), 42-50 (2004). C. Jimenez-Gonzalez, D. J. C. Constable, A. D. Curzons and V. L. Cunningham, "Developing GSK's Green Technology Guidance: Methodology for Case-Scenario Comparison of Technologies," Clean Techn Environ Policy, 4, 44-53 (2002). M. Khanna, W. M. H. Quimio and D. Bojilova, "Toxic Release Information: A Policy Tool for Environmental Protection," Journal of Environmental Economics and Management, 36, 243-266 (1998). M. Kiernan, Panel discussion on "Sustainability: Social and Environmental Factors in Financial Reporting," held at Cap Gemini Ernst & Young Measuring the Future Conference, Cambridge, MA, October 1-3, 2000. Available at http://www.cbi.cgey.com/events/ pubconf/2000-10-4/ session/breakout / index.html#sustainability. S. Klinger, C. Hartman, S. Anderson, J. Cavanagh and H. Sklar, Executive Excess 2001: CEOs Cook the Books, Skewer the Rest of Us, Ninth Annual CEO Compensation Survey, Institution for Policy Studies and United for a Fair Economy, August 26, 2002, p. 1. S. Konar and M. A. Cohen, "Information as Regulation: The Effect of Community Right to Know Laws on Toxic Emissions," Journal of Environmental Economic Management, 32, 109-124 (1997). C. Kranz and I. Sagasser, "How Chemical Industry Initiative Contributes to Environmental, Safety and Health Protection in SMEs: An Example from BASF," UNEP-Magazine "Our Planet", accepted, 2003. I. Labunska, A. Stephenson, K. Brigden, R. Stringer, D. Santillo and P. A. Johnston, "The Bhopal Legacy. Toxic Contaminants at the Former Union Carbide Factory Site, Bhopal, India: 15 Years After the Bhopal Accident," Technical note 04/99, Greenpeace Research Laboratories, Department of Biological Sciences, University of Exeter, UK. D. Lapierre and J. Moro, It Was Five Past Midnight in Bhopal, Full Circle Publishing, New Delhi, India, 2001. B. Lev, Intangibles - Management, Measurement, and Reporting, Brookings Institution Press, Washington, DC, 2001a. B. Lev, "Grey Matters: CFO's Third Annual Knowledge Capital Scorecard," CFO Magazine, April 2001b. J. Low and P. C. Kalafut, Invisible Advantage: How Intangibles are Driving Business Performance, Perseus, Cambridge, MA, 2002. T. J. Lueck, "1982 Report Cited Safety Problems at Plant in India," New York Times, December 11, 1984. E. Mankin and P. Chakrabarti, "Valuing Adaptability: Financial Markers for Managing Volatility," Perspectives on Business Innovation, Cap Gemini Ernst & Young Center for Business Innovation, November 9, 2002. W. McDonough and M. Braungart, "The Next Industrial Revolution," The Atlantic, October 1998. Available at http://www.theatlantic.com/issues/98oct/industry.htm, accessed February 23, 2004. E. Mongan, "DuPont's Quest for Renewable Energy," 2003. Available at http://www. brtable.org / pdf/ClimateRESOLVE / 12_02_03Mongan_DuPont.ppt, accessed August 26, 2004. R. Monks, The New Global Investors: How Shareholders Can Unlock Sustainable Prosperity Worldwide, Capstone, Oxford, UK, 2001. W. Morehouse and M. A. Subramanian, The Bhopal Tragedy: What Really Happened and What it Means for American Workers and Communities at Risk; a Report for the Citizens Commission on Bhopal, The Council on International and Public Affairs, New York, 1986. M. Mukerjee, "Persistently Toxic," Scientific American, 272(6), 16, 2p, 1c (1995). M. E. Porter and C. van der Linde, "Toward a New Conception of the Environment -Competitiveness Relationship," Journal of Economic Perspectives, 9(4), 97-118 (1995). Process Engineering, "CIA Sets Out 'Sustainable Vision' for Chemical Industry", October 20, 2003. Available at factivaTM database. D. J. Reed, Stalking the Elusive Financial Case for Corporate Sustainability, World Resources Institute, Washington, DC, 2001. W. K. Reilly, "Private Enterprises and Public Obligations: Achieving sustainable development," California Management Review, 41(4), 17-26 (1999). R. Repetto and D. Austin, Pure Profit: The Financial Implications of Environmental Performance, World Resources Institute, 2000. Available at http://www.wri.org/capmarkets/ pdf/pureprofit.pdf. P. Saling, A. Kicherer, B. Dittrich-Kramer, R. Wittlinger, W. Zombik, I. Schmidt, W. Schrott and S. Schmidt, "Eco-Efficiency Analysis by BASF: The Method," International Journal of Life Cycle Assessment, 7(4), S. 203-218 (2002). S. Schaltegger and A. Sturm, Okologieorientierte Entscheidungen in Unternehmen, 2, Auflage, Bern, Stuttgart, Wien, 1994. I. Schmidt, P. Saling, W. Reuter, M. Meurer, A. Kicherer and C.-O. Gensch, "SEEbalance -Managing Sustainability of Products and Processes with the Socio-Eco-Efficiency Analysis by BASF," Greener Management International, accepted 2004. S. Shah, "Farm Sector Too Reaps Rewards of Reforms," The Economics Times, December, 31, 2003. Sibson Consulting, "A Study of Corporate Governance Disclosure Practices," Segal Company Report, March 2003. H. Singh, "MP wants Dow to Cleanup Carbide Mess, State to Approach Center for Supreme Court Action," The Indian Express, October 20, 2002. Spencer Stuart, "The 2004 Spencer Stuart Route of the Top Survey of Fortune 700 CEOs." Available at http://www.spencerstuart.com/ArticleViewer.aspx?PageID= 10096& ArtID=4074799#gen_ceotenure, accessed September 10, 2004. W. S. Upton, Jr., "Special Report: Business and Financial Reporting, Challenges for the New Economy," Financial Accounting Series, No. 219-A, Financial Accounting Standards Board, Norwalk, CT, April 2001. R. Winslow, "Union Carbide Moved to Bar Accident at U.S. Plant Before Bhopal Tragedy," Wall Street Journal, January 28, 1985. World Resources Institute, 2000. Available at http://www.wri.org/capmarkets/pdf/ pureprofit.pdf. S. A. Zahra and J. A Pearce, II, "Boards of Directors and Corporate Financial Performance: A Review and Integrative Model," Journal of Management, 15(2), 291-334 (1989).